Willemijn Bouman, Dutch visual artist: Turkey art-projects. The Babayan Culture House is closed in Turkey. We will continue in the Netherlands and inform through this website, email and intermediating organisations. 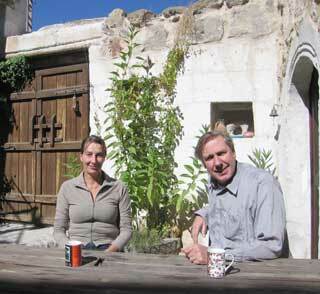 In the Babayan Culture House, Cappadocia, Turkey you can stay in all seasons except in the winter. 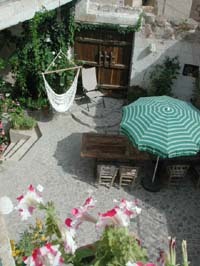 This former village farmhouse has comfortable cave rooms in an authentic Turkish village. 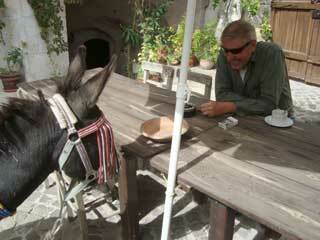 The residency is the starting point for the most beautiful walkings in a fascinating nature. 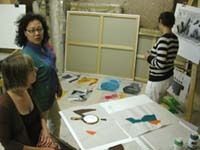 One can get inspired and make art or follow an art workshop in good studios. The Babayan Culture House is a professional community based artresidency and welcomes artists from all over the world. Cappadocia is a surrealistic landscape with tufa stone valleys, shaped centuries ago by the 'Erciyes' and other volcanoes. A part of this 40.000 square km area is a national park and an openair museum with many rock churches and monasteries, restored by UNESCO, because it is an official world heritage area: Göreme National Park and the Rock Sites of Cappadocia. 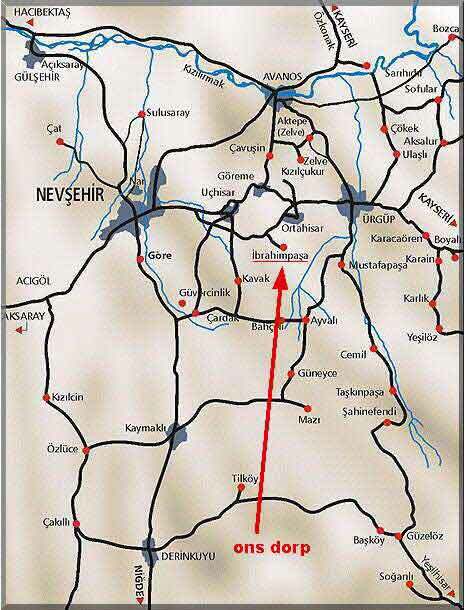 On the  1000 meter high  Anatolian Plateau, where the village is located, a severe land climate rules. This gives a dry heat in the summer and a bitter cold in the winter. Despite this, one can live here very well throughout the year, because the thick stones the houses are built with, are cut from volcanic tufa which keeps the climate outside. If a house is not heated, the temperature inside fluctuates during the year between seven and eighteen degrees Celsius. For this reason the region has been inhabited from times immemorial; and because the famous silk route passed by here, the area has a very rich cultural inheritance. The residence of the Babayan Culture House was situated in the small historical village of Ibrahimpasa (the Greek name is Babayan) in Cappadocia, Central Anatolia in Turkey. The 200 hundredyearold cavehouse was successively inhabited by Armenians, Greeks and Turks. 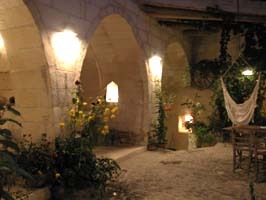 The house has three terraces, an inside courtyard, rooms with arched ceilings and cave rooms. 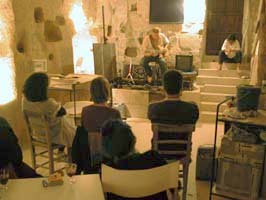 In May 2006 it openend its doors to share the cave residence with artists and other guests. It closed in 2017. Three large (200 Kb each) airviews of Ibrahimpasa village. No newsletters will be send out at the moment, because of the closure of the programmes. 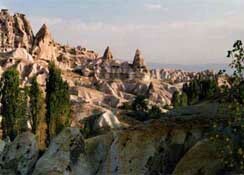 Cappadocia is an area where one can easily spend a number of weeks. Daily walks take you through lovely valleys with views of old Christian rock churches and painted pigeon'castles'. 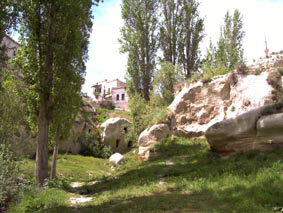 The worldfamous open air museums of Göreme and Zelve can be visited. 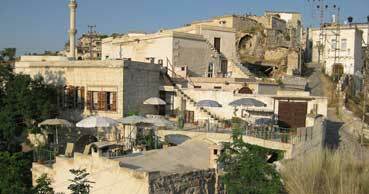 And you can swim in the nearby hot water springs of Bayramhaci, this visit can be combined with a lovely bbq. In the town of pottery, Avanos one can stroll along the river Kizilirmak (Red River). Our neighboring villages Ortahisar and Uchisar have high rocks (castles) which can be climbed from the inside and give a magnificent view of the bizarre landscape of Cappadocia. The underground cities (twelve levels below ground) of Kaymakli and Derinkuyu can be visited, as well as the green valley of Ihlara. Also bird watching ('Birds Paradise') in the salt lake near the volcano Erciyes is a possibility, as is horse riding in nature, swimming in a storage lake with blue clean water, and ballooning. 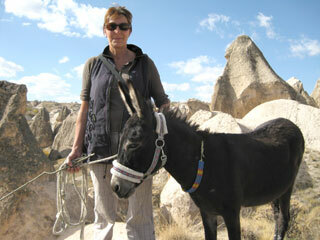 Pictures of the trips and trekkings. 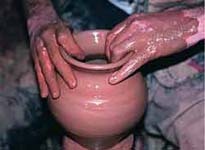 Artists and all other artinterested guests can relate to the beautiful nature by drawing, painting, stone carving, photography and pottery making in the wellequiped Avanos studios. 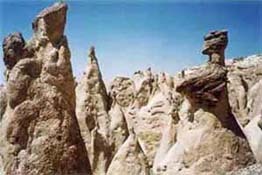 Especially the stone carving is a specialty of this region due to the fact that there is the natural material made of tufa, the millions of years compressed ashes of the volcanic outbursts. This light material can be worked on by everybody with an eye for shapes. All necessary materials will be provided. From the house you walk directly into nature with its bizarre valleys and ancient openair rock churches: the painted iconographic remains of Christianity. Donkey path's lead to several small historical villages nearby. In walking distance of the churches and monasteries one can endlessly wander around in green shaded valleys with small water streams running through. Take a look at some more pictures of the village in spring, summer, fall and winter. Visual artist Willemijn Bouman has developed a special teaching method for studying the 'primary form' in art in her workshops and lessons. She has been teaching this on all levels and for all disciplines and techniques since 1993. For more information about this artist you can visit her online resume. She also teaches in her studio in Otterlo, The netherlands. Composer, band musician and jazzguitarist Paul Broekman  who has an experience of more then thirtyfive years  developed a music workshop for amateurs and professionals. 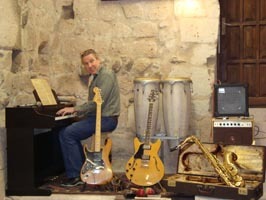 More information about Pauls' music workshop can be found on his website. He also teaches in Otterlo The netherlands. Willemijn Bouman and Paul Broekman are both professional visual artists painting. Willemijn works and lives over twenty seven years in Cappadocia and Paul is also a professional jazz guitarist who performs more then thirty five years all over the world. 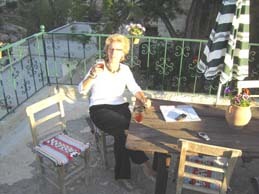 They have traveled a lot through many countries and now became experienced in the Turkish culture and language. They now teach in Otterlo, The Netherlands. Welcome to join! 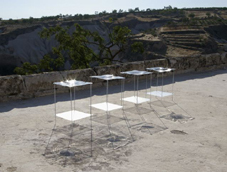 The Art/Eco Platform Cappadocia is a growing cooperation between artists and organizations who concern unique and historical Cappadocia. 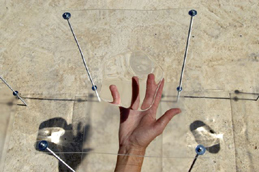 By expressing themselves, visual artists, theatre makers and musicians, draw attention in a positive way to protect the vulnerable tufa stone environment from fast developing 'modern world' influences, such as lack of good wastewater and garbage solutions and the misuse of the environment of touristy developments. Cappadocia is a cultural and historical area, still peaceful and away from a hectic modern world and a World Heritage site of Unesco. The presence of open air museums, beautiful landscapes filled with painted cave churches, pigeon houses and historical sites makes it well to study and to connect to. Breathtaking handcarved architecture and 40.000 km2 of sculpturally shaped volcanic nature astonish the eye of everyone that enters. Cappadocia slowly starts to get open to the world tourist area with all kind of consequences for environmental infrastructure. There are problems like open canalizations, very polluted valleys by free garbage dumping and the lack of drinking water. As it became a tourist area in short time, the modern use and supplies in this volcanic environment became clearly out of balance. The river Kýzýlýrmak is the main water stream coming from the Black Sea going all the way South, passing through Cappadocia and following its way up North again. The river is therefore of huge importance for the Anatolian Heights. But there is little water streaming now, because several storage lakes were constructed. WATER! = BRIGHT? SU! = PIRILTI?